TheMillionEtherHomepage.com does not support Metamask currently. Interaction is done through smart contract directly. Instructions are below. 1. Decide which coordinates you would like to buy. Pixels are sold in 10x10 pixel blocks. There are 100x100 blocks available (10 000 in total). Blocks are referenced by [x:y] coordinates starting from the left upper corner - [1:1]. The right bottom corner block is [100:100]. 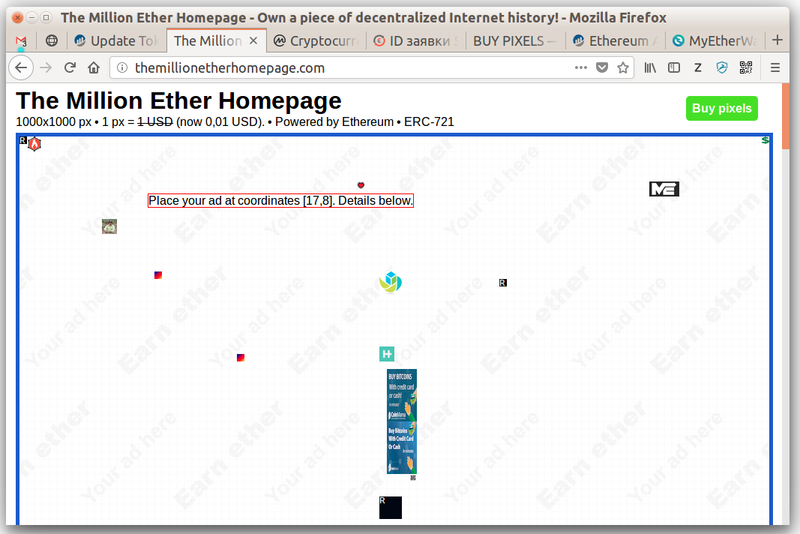 Go to TheMillionEtherHomepage.com in your web browser and hover cursor over a block. Look at the block coordinates shown in square brackets. 2. Check the price and availability of selected area. 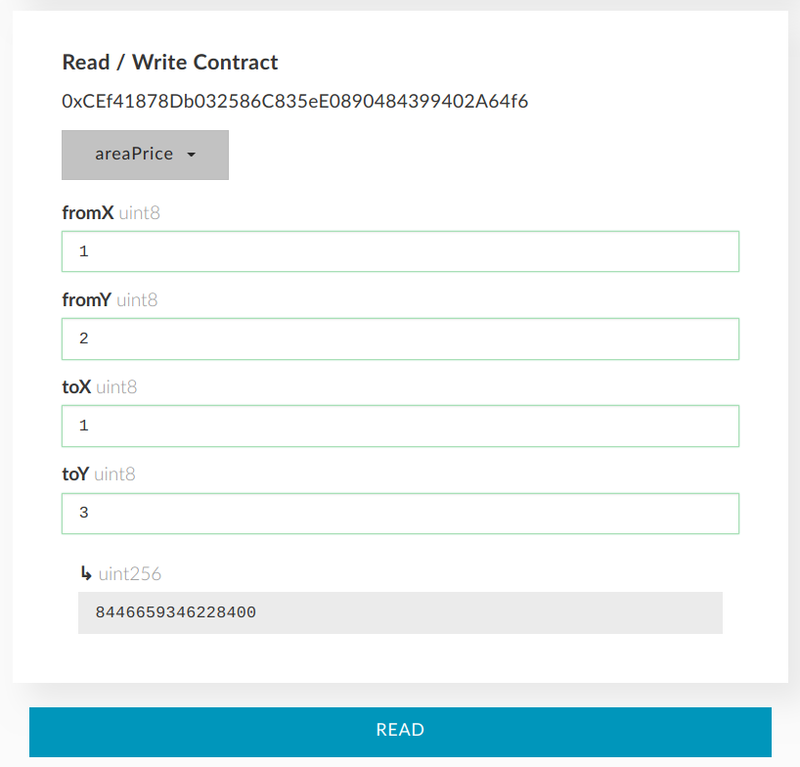 In contract interface select areaPrice function (in some wallets may appear under Read section or similar). 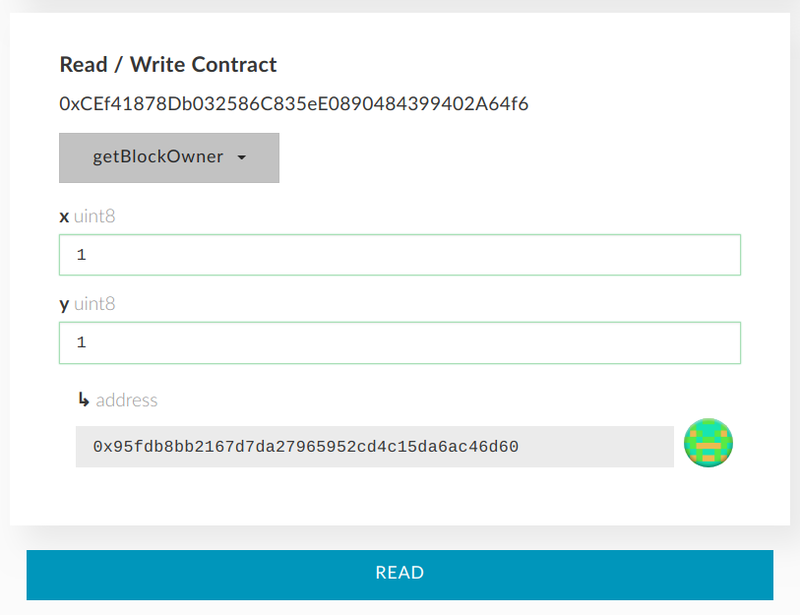 Type “from block” and “to block” coordinates if you are buying several blocks. If you would like to buy just one block type the same from and to coordinates (e.g. From x 1, From y 2, To x 1, To y 2). Click Read (you are not paying any gas here) and copy the price. You’ll ether get a price in wei (ether unit converter) or zero price meaning that some or all of the blocks are already bought and owner is not willing to sell. In this example 2 blocks (10x20 pixels) in the left upper corner are bought. The price here is 2 USD, shown in wei according to current ETHUSD price. In contract interface select buyArea function (in some wallets may appear under Write section or similar). If Gas Limit box remains highlighted in red do not send the transaction. Check the availability and price again - maybe someone has already bought the blocks you are trying to buy. Another reason may be buying too many blocks (more than 38) at once causing insufficient gas. 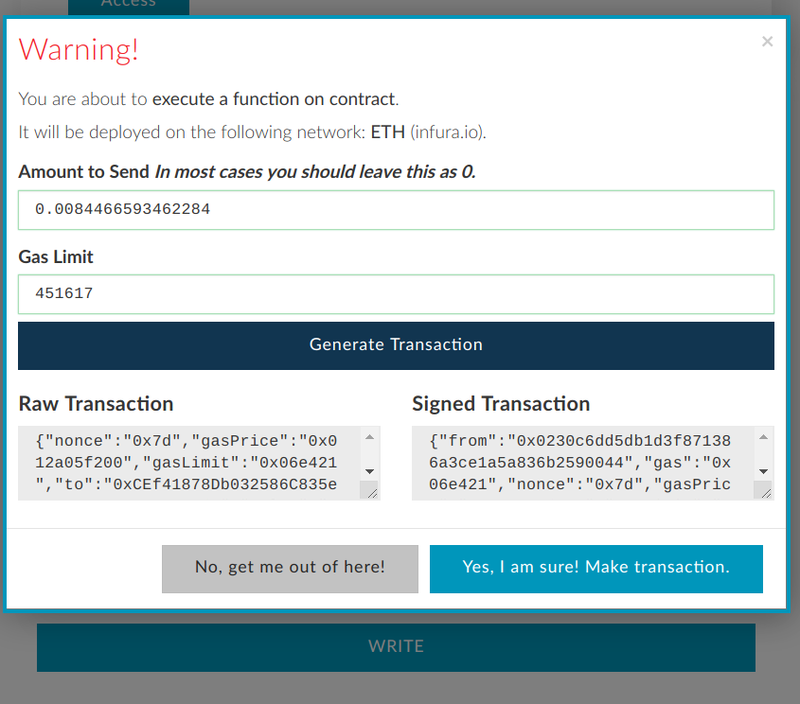 In contract interface select getBlockOwner function (in some wallets may appear under Read section or similar). Coordinates of a block (you are not checking an area here, but rather blocks one by one). You’ll see an address. Make sure it is yours. If no address appears (or it is 0x), the block doesn’t belong to anybody.